For any individual convicted of a crime, the most difficult aspect of moving forward with his or her life is finding a job. Many employers conduct background checks to eliminate job candidates merely because the candidate has a criminal conviction on his or her record. If you have been convicted of a crime, getting your criminal records expunged may be the most important step in helping you get a job. What does it mean to get your records expunged? An expungement, under California Penal Code 1203.4[i], releases an individual from all penalties and disabilities that are associated with a criminal conviction. If you were convicted of a crime and satisfied all the terms of your probation, you may petition the court to have your criminal record expunged under Penal Code 1203.4. A criminal expungement under Penal Code 1203.4 can help expand your employment options. To have your records expunged, the court will allow you to withdraw your guilty plea, set aside your conviction, and dismiss your case. Essentially, the expungement will clear the criminal conviction from your record. However, even if you do not qualify to have your records expunged under Penal Code section 1203.4, you may be able to request a Governor’s Pardon under Penal Code section 1203.4(g). A Governor’s Pardon does not allow you to set aside your criminal conviction, but it shows that you have been on excellent behavior following your conviction and that you are ready to be a productive member of society. For more information about a Governor’s Pardon, see our page on Governor’s Pardons. You are eligible to seek expunged records if you did not serve a state prison sentence, regardless of whether you are convicted of a misdemeanor or felony. Most individuals who were sentenced to imprisonment in county jail, probation, a fine, or a combination of the aforementioned sentences may be eligible for an expungement. Attend Drug Treatment Programs or Alcohol Programs. Even if you violated a term of your probation, you may still be eligible to get your records expunged. The court will hold a hearing to determine whether to grant your expungement despite your probation violation. Who is NOT eligible for an expungement? Unfortunately, if you served time in prison, you are not eligible to have your record expunged. Any infractions or special misdemeanors under Vehicle Code section 42001. When can I petition to have my records expunged? If you are convicted of a misdemeanor or infraction and not granted probation, then you may petition to have your criminal history expunged after one year has passed since the court issued its judgment in your case. What effect will an expungement have on my life? First and foremost, expunged criminal records may be able to help you obtain a job. After you have successfully expunged your criminal conviction from your record, in most cases, you do not have to disclose the criminal conviction to your potential employer. However, if you are applying for a state or federal government job, you may be required to disclose that you have been convicted of a crime, but that your conviction has since been expunged. Once your conviction has been expunged from your record, your record will show that you were arrested, you were convicted of a crime and the conviction was set aside and the case was dismissed in the interest of justice. This is an important difference from a factual innocence motion because your record is not sealed and destroyed. Rather, your record still indicates that you had been arrested. Although it may seem like an expungement did not completely erase your criminal history from your record, it is important to note that your record will indicate that your case has been dismissed. Under California Labor Code 432.7, an employer may not ask you to disclose information about an arrest or detention that did not result in a conviction. When an employer sees that you were arrested but not convicted of a crime, the employer may not discriminate against you for being arrested alone. However, if your arrest did lead to a conviction, then the employer may disqualify you on the basis of your conviction. Therefore, it is important to have your criminal background expunged since it can help prevent an employer from discriminating against you because of your criminal conviction. Let us help, call Wallin & Klarich today. If you are located in Orange County or anywhere in Southern California and have been convicted of a misdemeanor or infraction, or are serving a probation term as a result of an offense that you committed, you need to contact a Wallin & Klarich expungement attorney today. 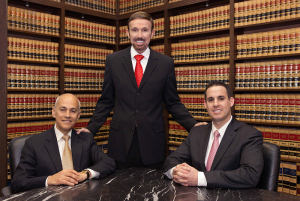 At Wallin & Klarich, we have over 30 years of experience successfully helping our clients get their criminal convictions expunged. We can help guide you through the difficult process of obtaining an expungement. Our attorneys are familiar with the court process and filing procedures at your local county court. Many individuals who attempt to petition for an expungement on their own do not know the laws surrounding expungements and make costly mistakes. Your Wallin & Klarich expungement attorney will help you avoid these mistakes and make sure that the entire expungement process goes smoothly. 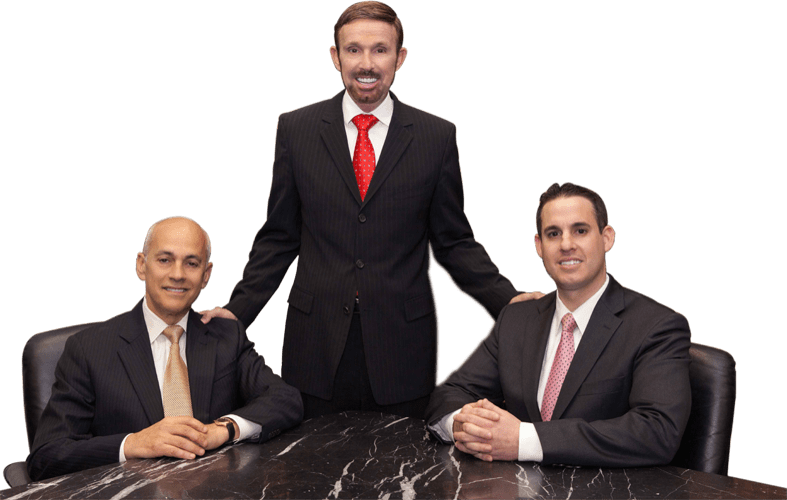 With offices in Orange County, Los Angeles, San Bernardino, Riverside, Ventura, Victorville, West Covina, San Diego, Torrance and Sherman Oaks., there is an experienced Wallin & Klarich criminal defense available near you no matter where you work or live. Please call us today at (877) 4-NO-JAIL or (877) 466-5245. We will be there when you call.